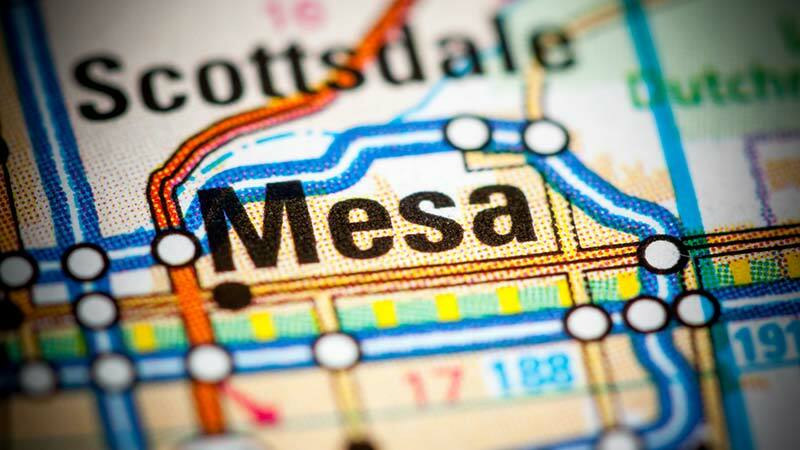 Mesa, Arizona—A woman visiting from Kentucky was carjacked while her husband went into a convenience store to purchase beverages. Her husband left their car running while he stepped inside the store near University Drive and Dobson Road. A man reportedly identified as Frederick Calvin, age 24, jumped into the running vehicle and sped away with the woman still in the vehicle. Calvin drove only one block away before allegedly running a red light and colliding with another vehicle, then fleeing on foot. Witnesses reportedly directed police to a nearby business where Calvin was hiding. He was quickly apprehended. The clerk at the convenience store and other witnesses identified Calvin as the man who carjacked the victim. The woman suffered a severely broken arm in the collision which required surgery. No information was available regarding the extent of injuries to the driver of the car Calvin struck. Calvin readily confessed to the crimes and reportedly admitted that drugs were involved. He is currently being held on $100,000 bond and is facing charges of car theft, aggravated assault and kidnapping. We wish the victim a swift and complete recovery.